As the weather heats up in the South, you'll find me wearing more dresses, shorts and tanks. I love when I find fun and bright shorts to wear. Especially when they have endless possibilities of how to style them. 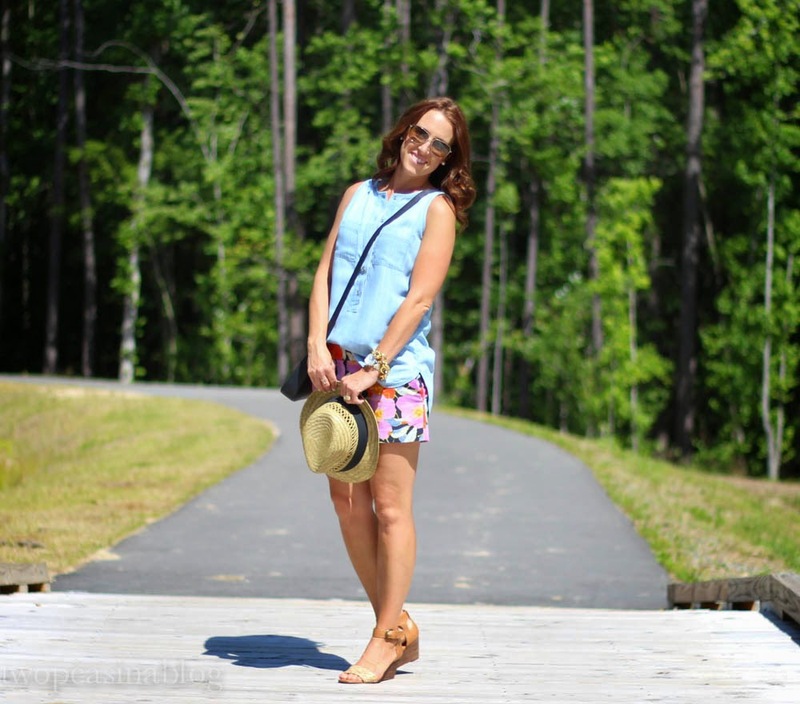 I found these floral shorts at LOFT and they are currently on sale! I love the pattern and bright colors in this pair. 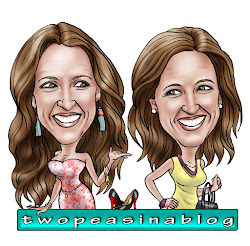 They would also look adorable with a simple tee and flip flops or dressed up with a silky cami and heels. This chambray denim is my new favorite tank. It's a lightweight material and can go with so many things. And the lighter wash is perfect for summer too. I love this look! I love chambray shirts, I have a long sleeve one but I definitely need a sleeve less one for summer! 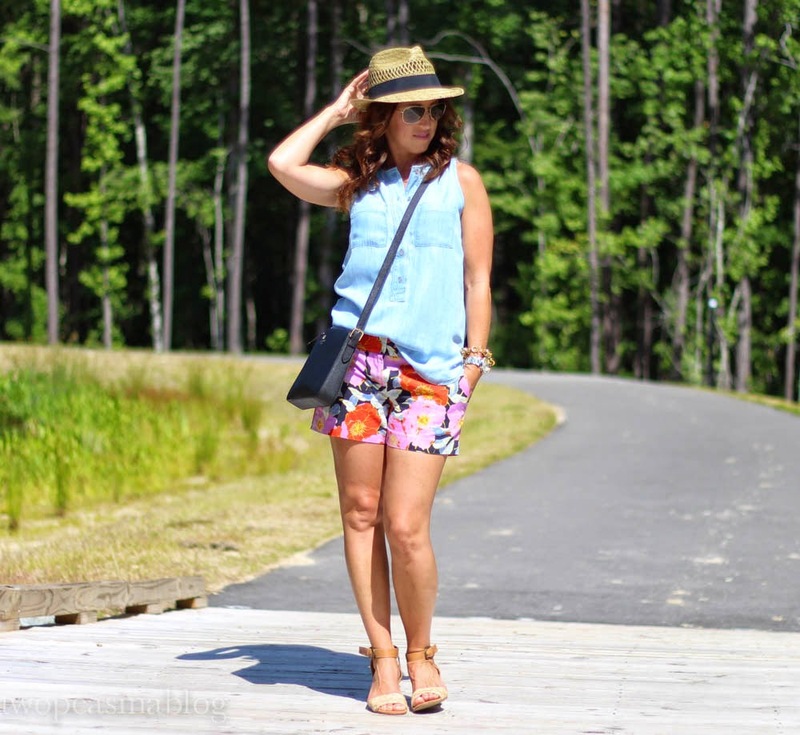 Those colorfully floral shorts are thebomb.com! Such a cute look! Those shorts are so stinking cute! I love how you mixed them with a chambray tank! Love those shorts! I think I need a chambray tank.. I have a long sleeve and short sleeve already, but the tank is just too cute! I need those shorts. And your fedora...and the top. Might as well get the whole outfit. LOVE! I love this whole look! So perfect. 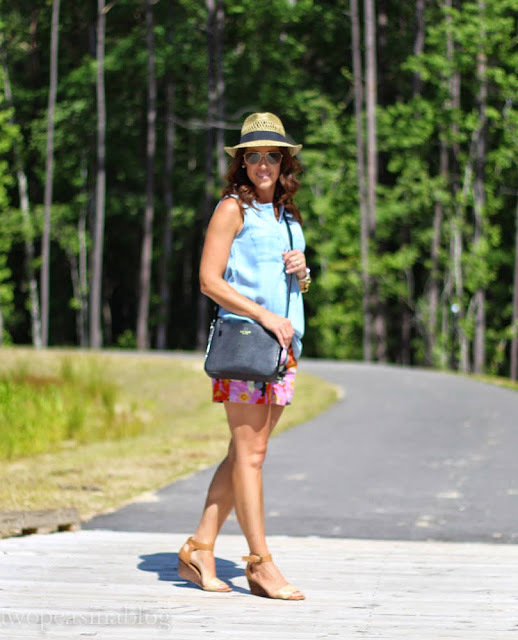 I love anything chambray or floral! Girl you're adorable! Poster child for spring! Love love!!! LOFT always has the best floral shorts for a good price. I still have a pair from two summers ago with the tags on (oops). Can we say shop-a-holic? I'm going to have to break them out this year. Thanks for the inspo! Love this laid back but super chic outfit! Chambray is amazing, no? It goes with everything!! I have this shirt and it is sooo amazing and comfy!!! those shorts are ah-maze!! im on a huge floral kick lately!!!! looks great with the chambray. 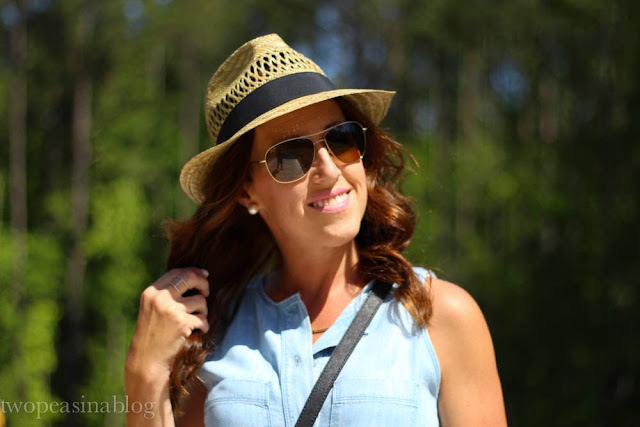 I love that chambray top. It looks so easy but cute!